Shifter supports AMP with "AMP for WordPress" plugin. Shifter supports AMP with "AMP for WordPress" plugin By WordPress.com VIP, XWP, Google, and contributors, and doesn't support any other AMP generator plugins like AMP for WP – Accelerated Mobile Pages or Better AMP. It means if you enabled unsupported AMP plugin and generated your site, AMP pages will not generate. 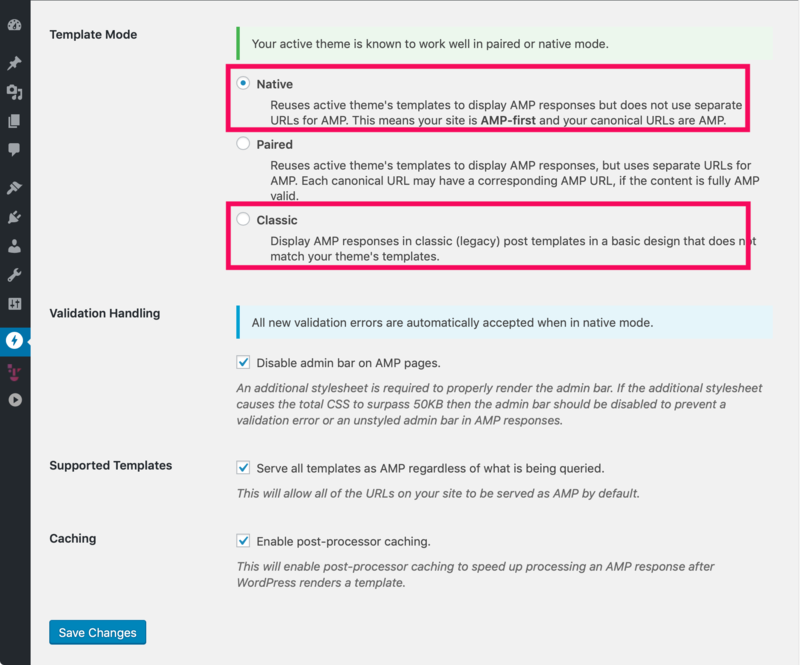 Please use "AMP for WordPress" plugin instead of other AMP alternatives. Since version 1.0, the AMP plugin supports three modes, Native, Paired and Classic. If your theme supports AMP, we recommend to select the Native template, otherwise, choose Classic.